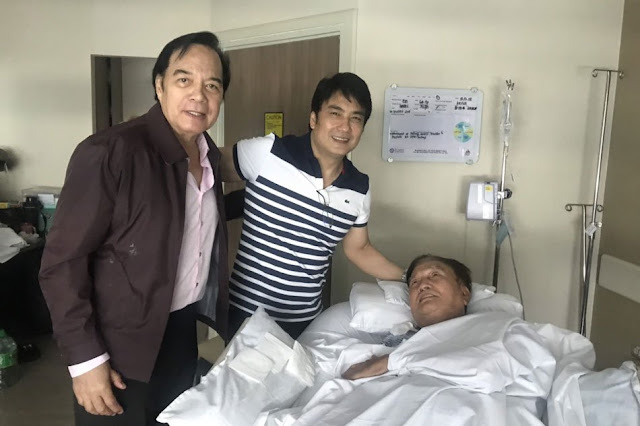 MANILA - Former Senator Ramon "Bong" Revilla Jr visited his sick father and namesake Ramon Revilla, Sr. at the hospital on Saturday. The older Revilla, also a former senator and movie actor, is confined at the St. Luke’s Medical Center in Taguig City. 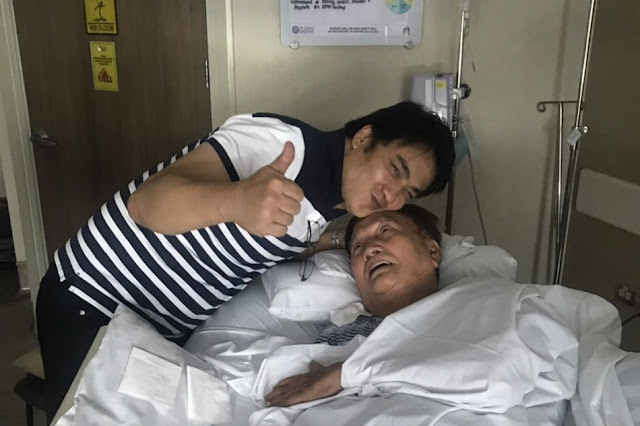 His son was allowed by the Sandiganbayan to visit him from 2 p.m. to 7 p.m. on Saturday. The younger Revilla is detained in Camp Crame for plunder and graft charges over allegations that he misused P224 million from his "pork barrel" or discretionary funds. He is also seeking to return to the Senate in next year's polls.